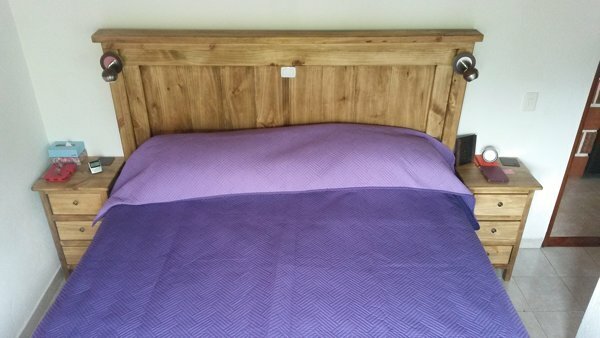 Having built a new bed, I needed matching bedside tables, again they were limited in size, by the space available. 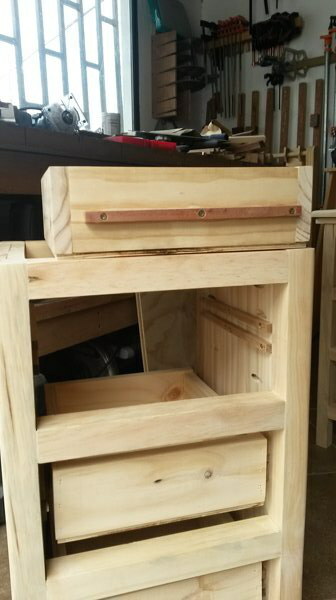 Fortunately I had nearly enough timber left over from the bed build, and only needed to buy a couple of lengths of 1x8" and a sheet of 1/4" ply, so this was a cheap project. 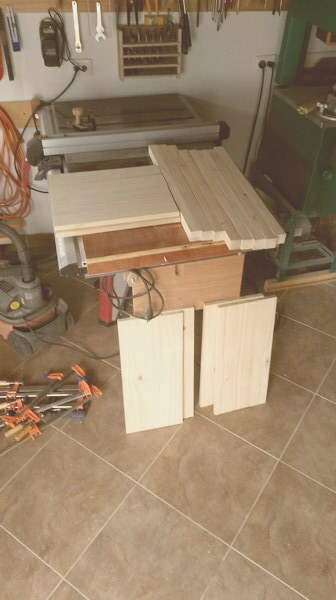 For the panels I again pocket holed the 1x8s to stop them springing, and cut down some 2x4 for the legs. I made the decision to make mahogany drawer runners, rather than buy metal ones, they worked perfectly well in the past, why not now? Finally the finished product in use! Nice!! 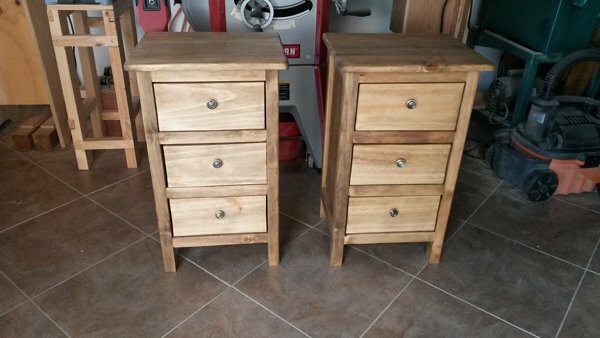 I want to make matching Cherry night stands. Someday! !